Whether you’re planning new construction or a kitchen or bath remodeling project, Modern Supply can connect you to everything you need to create a personal and distinctive space. We have it. We know it. We do it. 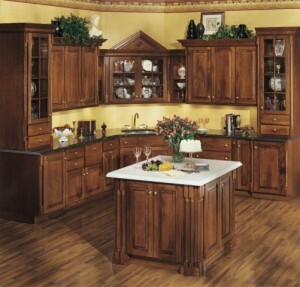 Showrooms in Knoxville, Chattanooga, and Johnson City, TN. Branch locations in Sevierville and Crossville, TN and Bristol, VA.
Modern Supply’s design consultant and remodeling expert. Eco-chic kitchen, bath & lighting fashionista. Addicted to sassy shoes. Hot and spicy or warm and delish? What’s your fav kitchen color? 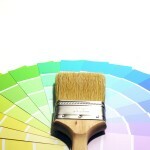 There are zillions of paint colors and paint is your easiest decorating tool. 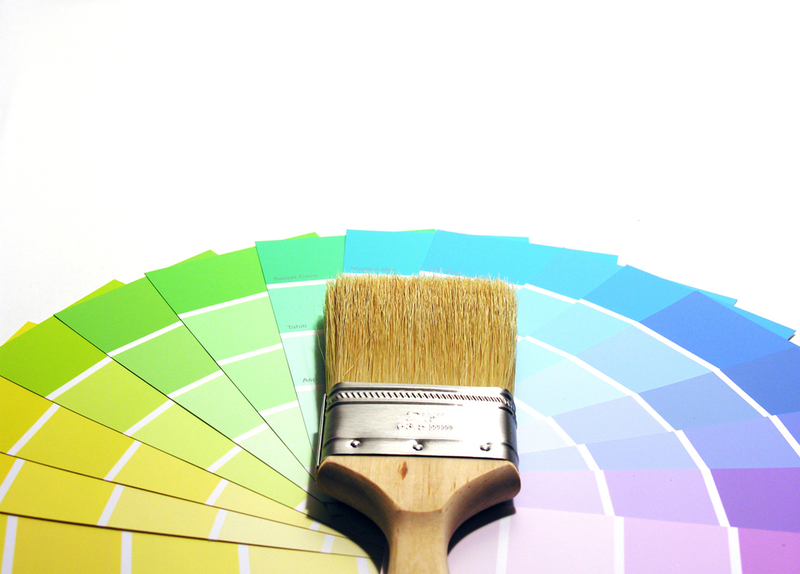 Paint color reflects your style. Bunches of super smart folks study the psychology of color and how it affects us. Color sways mood, our appetite and energy levels. 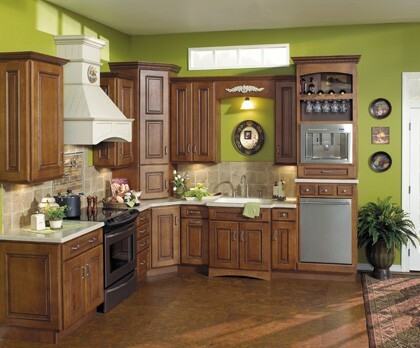 It’s one of the first things you notice and pulls together furniture, accessories and cabinetry. What ambiance fits your style? Relaxing, energizing or sassy? Trendy or timeless? Start by building around the color and style of cabinetry, countertops, flooring and appliance finish. 2011 kitchen paint trends lean toward shades of gray, yellow, red, blue and purple. Takes SASS to go with shades of purple! A dark plum is a good choice for the less feisty. Golden tones & nutmeg cabinets create a cozy feel. Grays are totally flexible and create a super sleek, contemporary look, industrial flair or a calm, timeless look. Like a beloved pair of black slacks, gray jives with everything! Reds are always vogue and a powerful color that shouts-out energy, passion and stimulates the appetite. There are oodles of red shades. Yellow is cheery and a great choice for small spaces or areas needing reflective light. Gold tones create a rich, warm Tuscan feel. Chianti anyone? Blue is America’s fav color and essentially timeless. Shades of blue come and go. Goodbye country blue and mauve; may you never return! The color of the sky and sea, blue suggests a feeling of spaciousness, height and depth. A bright cheery green adds a contemporary touch. Green, ah, the color of nature. Green is a soothing color great for an earthy, shabby chic or touch of country feel. Lime greens and brighter shades add p’zazz! White and Black – nuthin’ to be said here. They totally go with everything! Select washable paint that stands up to water splashes, grease, stains and kitchen yuch. Remember, paint is like a bad haircut; it can always be changed! 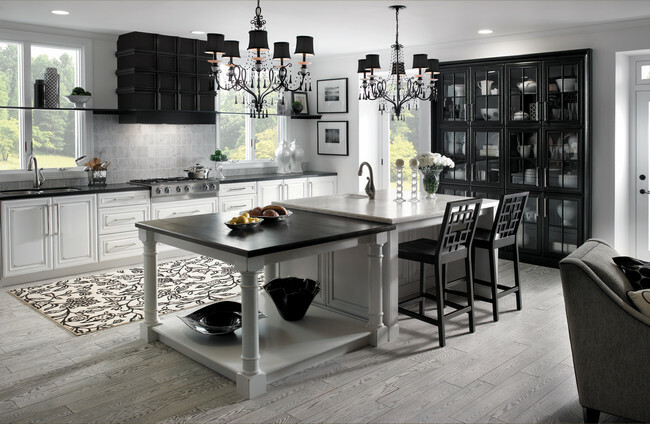 This entry was posted in Kitchen Trends & Tips and tagged 2011 Paint trends, Classic black & white, Kitchen paint colors, Psychology of color, Tips on kitchen paint on November 29, 2011 by Webmaster. © 2011 Modern Supply Company. All rights reserved.